Marky Morel has a degree in Industrial Design from the College of Creative Studies in Detroit. In addition to her major coursework, she studied extensively in the arts including fine woodworking, textiles, ceramics, graphics and glassblowing. Her education includes textile design at Kawashima Textile School in Kyoto, Japan. Her professional portfolio includes a broad range of design experience starting as an automotive designer for Mazda specializing in interiors, colors and accessories. She has also designed consumer products from children’s toys to electronics to furniture. Her new interpretation of the tricycle was awarded a bronze metal from Businessweek magazine in the category of Best Consumer Products (1998). She has designed boats creating both interior and exteriors for Bayliner and Maxum power boats. Her varied background has provided her with a unique perspective and in depth approach to residential design. 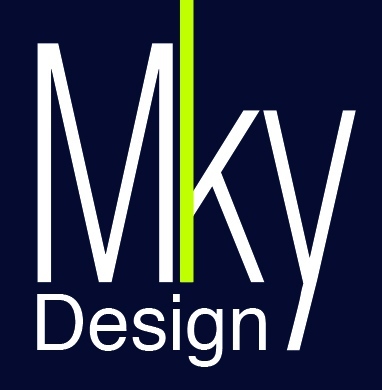 Her firm, Mky Design, specializes in residential design. Because of her experience, Marky’s approach isn’t a set formula or a simple recreation of the latest trend. Instead, she strives to go beyond the ordinary and create environments that reflect both her clients lifestyle and their homes architectural integrity. She believes that it’s their home first, and should combine warmth with individual personality. She loves working with different materials and seeks to highlight their beauty. Some of her special strengths include cabinet design and making sure each project features unique details. Kitchens and baths with unique or detailed cabinetry are a speciality. She is also an executive board member of the Long Beach Navy Memorial Heritage Association. The “Navy Trust” is a foundation created to preserve the heritage and historic sites of Long Beach. Each year the association provides grants to qualifying recipients. The photos highlight a small selection of the portfolio of work.